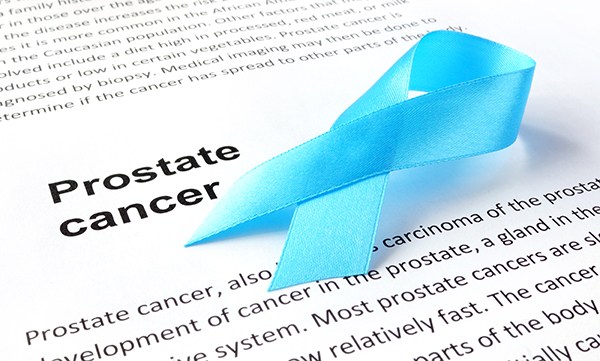 Kelvin A. Moses, MD, PhD, FACS is leading a screening initiative at Nashville General Hospital to reach out to men at high risk for prostate cancer. 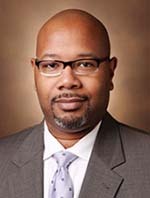 "We want to encourage African-American men to participate because of higher incidence of prostate cancer and higher risk of high-grade cancer in black men," explained Moses, who is chief of Urology at Nashville General Hospital. The project, funded through the end of 2017 with a grant from Astellas Pharma US, is available at no charge to the men being screened. In addition to African-American men, Moses said other target populations include those who are uninsured, on public insurance, or who haven't been previously screened. "It's open to anyone who has never had prostate cancer screening before," said Moses, who also serves as an assistant professor in the Department of Urologic Surgery at Vanderbilt and as a urologic oncologist at Vanderbilt-Ingram Cancer Center. He added the clinic - offered on seven dates through the end of the year (see box) - includes a PSA test, DRE (digital rectal exam), an electrolytes and lipid panel, blood pressure check, information about prostate cancer, and a connection to follow-up care. "We're making sure men have a follow-up with a primary care physician," noted Moses. "And if they don't have one, we'll get one scheduled for them." Additionally, the clinic staff will help those with abnormal PSA or DRE numbers get an expedited appointment with a primary care provider. Moses said the follow-up is a key factor because too often men get a PSA number and don't know what to do with it. "We're trying to keep people from falling through the cracks." Moses continued, "We acknowledge that there is controversy about PSA screening for the general population. However, we are trying to screen smarter by targeting high-risk populations who bear the highest burden of prostate cancer." He added black men are at 2.4 times more risk of death from prostate cancer than their Caucasian counterparts. "Black men overall are less likely to be screened ... and if diagnosed, are less likely to receive treatment." Moses said the education component is as critical to the program as the screening assessment. "The key to smarter screening is patient engagement, shared decision-making, and assessment of overall health," he concluded. Dr. Kelvin Moses and the clinical team participating in the Nashville General Prostate SCAN initiative are spreading the word in the community through a variety of outreach endeavors. However, they also encourage healthcare providers and area clinics to join the effort by referring or sharing information with patients about clinic dates and how to schedule a free screening appointment. To schedule a screening, simply call 615.341.4282 and ask for an appointment as part of the Prostate SCAN event.